Cleaning house is not one of my favorite things, but it certainly is the best feeling once it's all done and your home is fresh and tidy. You know you love that rewarding feeling too! 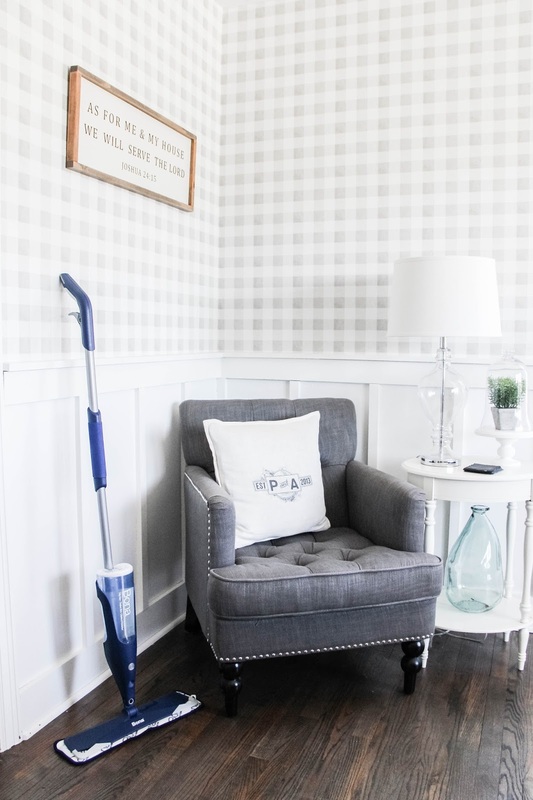 Over the years, I've found numerous different ways to clean our home best. But, when we bought our current home, I wasn't prepared for cleaning all of the hardwood floors that cover 90% of our home. 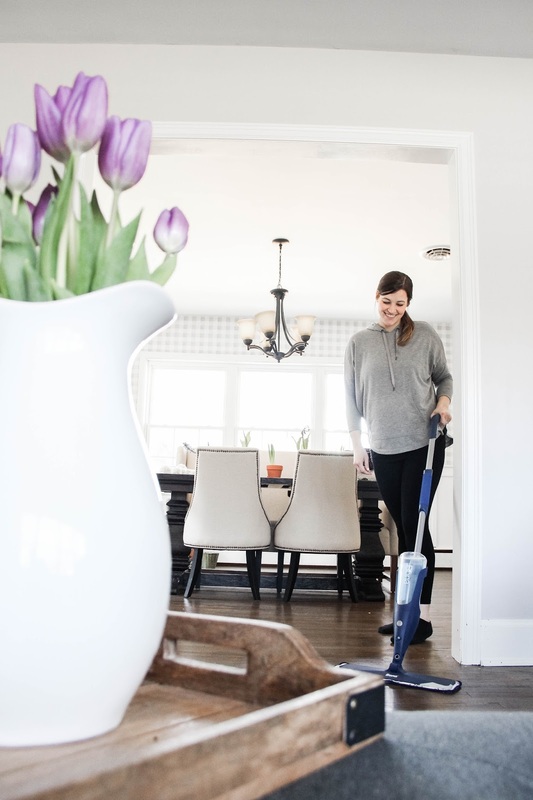 It almost felt impossible to keep them clean, and vacuuming alone wasn't cutting it. Then I discovered the perfect pair...the new generation of wood floor mops, the BONA Hardwood Floor Mop + the BONA Hardwood Floor Cleaner solution. 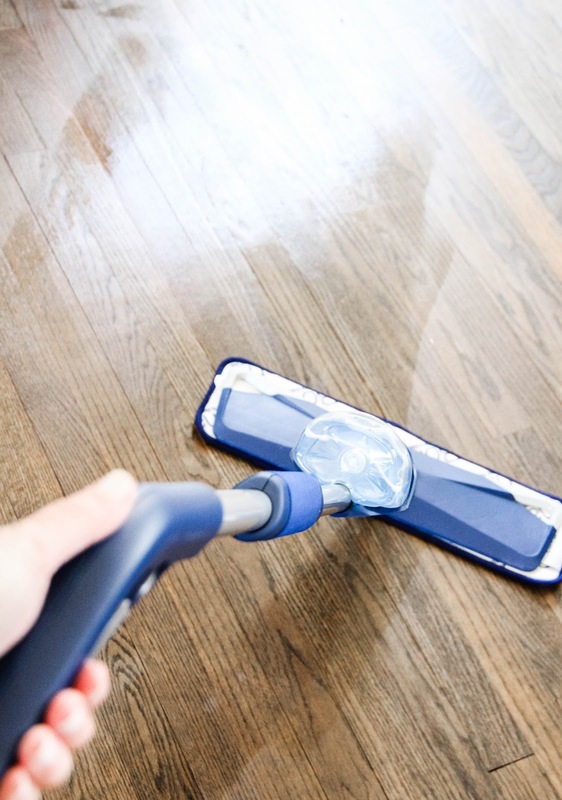 When put together, they make the best way to get our hardwood floors spotless and keep them clean. The base plate is the largest in the industry, covering more floor at one time, cutting down my mopping time. And as a busy mom, who doesn't love spending less time on the chores?? Not to mention, the edges are made of rubber, protecting my baseboards and furniture from scratching when I accidentally knock into them. I'm a fan of the Bona Microfiber Cleaning Pad, which offers different fibers to break up grime and absorb more dirt. A fine mist is all you need to properly get your floors clean. Our hardwoods are loving the GREENGUARD GOLD certified hardwood cleaner, which means it's safe for using around my family. And that's a big deal when you've got a toddler running around and playing on these floors. Not to mention, it dries fast with no dulling residue. Can I get an amen? 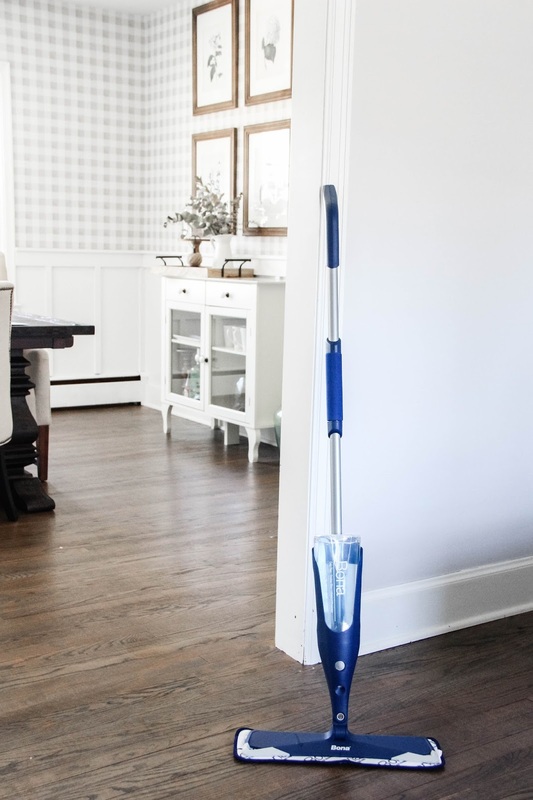 The best part about the mop is the ability to use it with a variety of BONA cleaning products. So you can get your hardwood floors shiny, then swap out the cleaner for the Tile & Laminate and get your bathroom floors spotless too. And the secondary grip gives you extra leverage for getting those tough-to-clean stains. 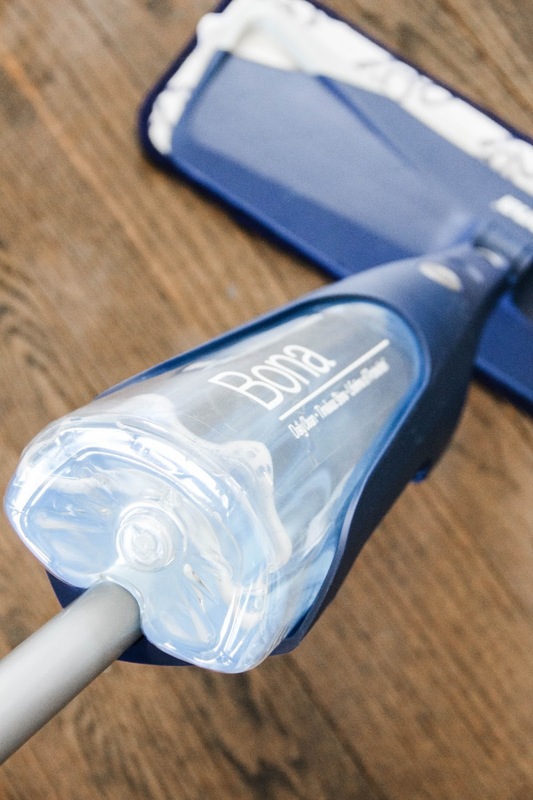 Be sure to check out all the ways the BONA mop is amazing! Receive free shipping plus $5 off of a mop when you visit the BonaFide Fanatics page on their website. When you purchase the mop, it comes with a full-size cartridge of the Bona Hardwood Floor Cleaner Original Formula, its perfect pair! And like I mentioned, you can swap that out for the other cleaners they offer.